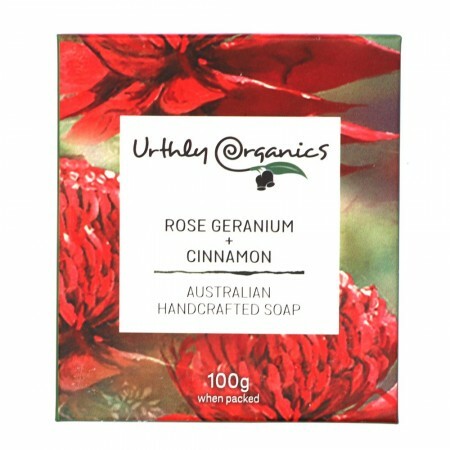 A palm oil free bar soap made in Central Victoria, Australia with rose geranium, cinnamon and red clay. Free from SLS, SLES, parabens, fluoride, titanium dioxide, glycols, fragrance and mineral oils. 100g. Saponified olive oil, coconut oil, *cocoa butter, *shea butter, *macadamia oil, *hempseed oil with essential oils and Australian red clay. *Organic ingredient.